The comic strip Alley Oop was created by Vincent Trout (V.T.) Hamlin and debuted December 5, 1932. 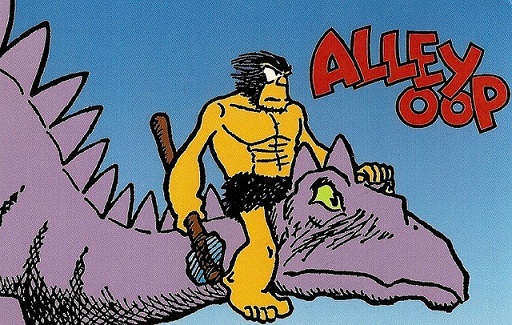 It featured the adventures of a caveman named Oop who lived in the city of Moo in prehistoric times. While the strip originally began as a satire on American life, it soon became more of an adventure that featured science and fantasy when Professor Wonmug brought in a time machine from the 20th Century. The name, Alley Oop, came from the French words for "let's go". Allez, hop. Hamlin wrote and drew Alley Oop until his retirement in 1973 with some help from his assistant, Dave Graue. Graue took over the daily strip in 1966 but still signed Hamlin's name. Graue wrote and drew the strip until 1991 when Jack Bender took over as the illustrator. Graue retired in 2001 but sadly died in an automobile accident four months later. After Graue's retirement, the strip was drawn by Jack Bender while his wife, Carole, wrote it. They continued on Alley Oop until 2018. On January 7, 2019, Alley Oop received it's fourth creative team in writer Joey Alison Sayers and artist Jonathan Lemon. 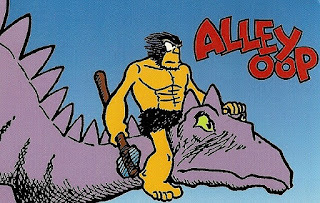 During the middle part of the 20th Century, Alley Oop was very popular, appearing in over 800 newspapers, being reprinted in comic albums and being published in comic books. Alley Oop even had its own song written and composed by Dallas Frazier in 1957 and performed by the Hollywood Argyles (in actuality, Gary "Flip" Paxton and some back-up singers). In addition to the daily strips that continue the adventures of Alley Oop, Sundays are used for a feature called Little Oop that features the adventures of Oop when he was a boy. For more Alley Oop, you can go to its GoComics page. If you would like to support my writing and research, you can buy me a cup of coffee over on Ko-Fi. I'm only familiar with what we do around here. Aren't grades in elementary/grade school just E, M, and S? 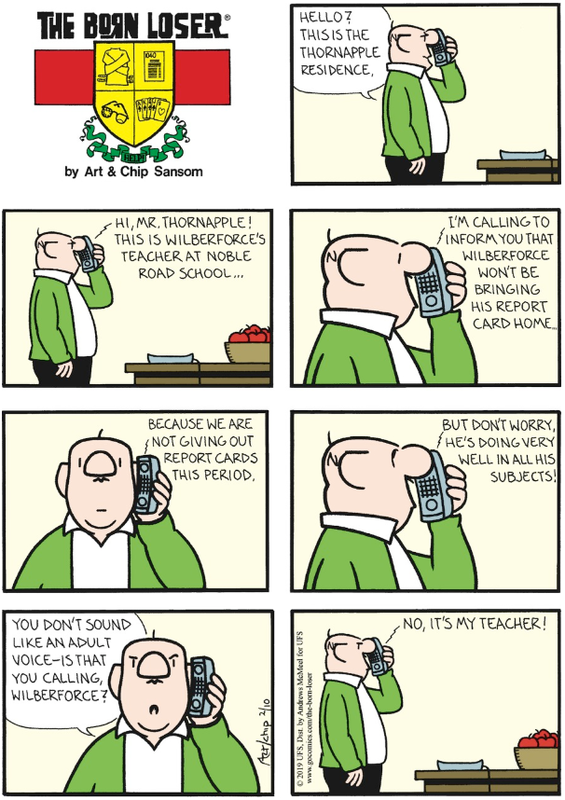 Don't most parents go to conferences to get the scuttlebutt from the teachers? Where's Wilberforce calling from? Is he at Hattie's house? Why do the Thornapples have a basket of apples just sitting around? Why do the Thornapples still have a landline? For the sake of completists, there is a Noble Elementary School in Cleveland Heights, Ohio.